Prime Inc. is one of the leading refrigerated, tanker, flatbed and intermodal carriers in North America. Offering everything from CDL training to company driver positions and opportunities for owner operators to participate in their lease plan, Prime is a popular choice with both new and veteran drivers alike. If you’re a rookie, you’ll appreciate the company sponsored CDL training through the Prime trucking school, which can take you from the classroom to the road in no time. While you may have heard about Prime’s training program, you may not know exactly what it entails and its requirements. Let’s take a closer look at the company’s training program. The PSD program at Prime will help you obtain your CDL permit, and from here, you’ll receive personalized training behind the wheel. The final step? Taking the state test. The first step is to sign up for the program, and take the exam to obtain your CDL permit in Missouri. Prime offers a handy study guide to help you pass the exam on the first try. Once you’ve obtained your permit, you can begin training at the Prime Training Center, which is located in Springfield, Missouri. At this point, you’ll start working towards the 40,000 dispatched miles required (this includes food allowances, which will be paid with future earnings). Drivers that have their permit will train with a certified CDL Instructor for about a month. This behind-the-wheel training will give you first-hand experience and a glimpse of what life is like on the road. Being able to train in a real world environment will better prepare you for your fist real day out on the job. The goal at this stage is to help you develop the skills you need to pass the CDL exam. Training lasts for 10,000 miles, and those miles will be put towards your 40,000-mile requirement. Next, you’ll take the final exam – the state Class A CDL test. If you pass, you’ll obtain your CDL and HazMat endorsement. You’ll also receive certification and start off as a B2 trainee for the company. All B2 drivers earn 14 cents per mile, and you’re guaranteed $700 per week. At this stage, you’ll also complete the final 30,000 miles towards your 40,000 mile goal. Prime’s main training facility is called the Campus Inn. This is where you’ll receive your CDL training as well as your orientation. The facility has a simulator training lab, classrooms, a café, a computer lab, hotel rooms, a driver lounge, a sleep lab and other amenities. While you’re undergoing orientation, you can enjoy free breakfast, lunch and dinner at the café. 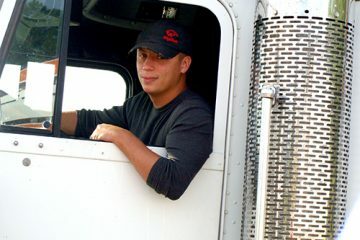 Once you have your CDL and you’ve completed your 40,000 miles, you can begin working as a company driver. Before you do that, you’ll go through the ACE Orientation at Prime’s Training Center. You’ll be required to pass the skills test before you can enter your own truck. Company drivers will earn 39.5 cents per mile ($850-$1,050 on average per week). Those who drive the ECO49 trucks will earn 44.5 cents per mile. Refrigerated: Chicken, water, frozen foods, ice cream, fruit juice, seafood, produce and more. Tanker: Cooking oil, wine, grape juice, cocoa butter, and more. Flatbed: Steel plates, drywall, steel coils, pipe, structural steel, conditioning equipment, roofing material, and more. Intermodal: May be refrigerated or flatbed. While the list looks long, these are standard requirements from most companies in the trucking industry. Provided you have a good driving history and hold a valid driver’s license, you should have no issue getting accepted into the training program. Recent Prime Trucking school reviews list no complaints for meeting school requirements. Special testing and documents may be required if you have a heart condition. Prime’s goal is to not only ensure that they meet the demands and needs of their customers, but to also ensure that their drivers are not a danger to themselves or others on the road. To stay safe on the road, you need all of your senses to be in tip top shape, and good physical health prevents potentially dangerous episodes while you’re behind the wheel. How Much Does Prime’s Trucking School Cost? The first question most potential students ask: how much is this training going to cost me? Nothing – well, close to nothing. If you commit to driving with Prime for a year, the training will only cost you a one-time administrative fee of $155. The training program is valued at $4,475, but tuition costs are waived after working with the company for one year. 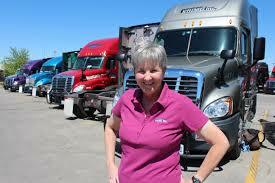 Going through the company’s CDL training is the best way to secure a driving position with the company. While Prime Inc. jobs are available to students who graduate from other trucking schools, the program offers a guaranteed position. What Disqualifies You from Getting a CDL?